We built Lelleborg in 1995 trying to unify old craftsmanship with new. We where inspired by the Russian Datjas and Swedish pinewood. Lelleborg looks out to Lake Sundsjön, it is just 30 meters to the beach with access to a boat and fishing. The design of the house is open with light pouring in through large windows leading out to a veranda and a panoramic view of the lake and surrounding area. The veranda is well suited for barbecuing and outdoor activities during beautiful summer evenings. On the main floor there is a big living room with a sofa and armchair in combination with a modern kitchen. Half of the room has a ceiling height up to the ridge, 6 meter. There is also a beautifully decorated bathroom with a bathtub with lions feet. 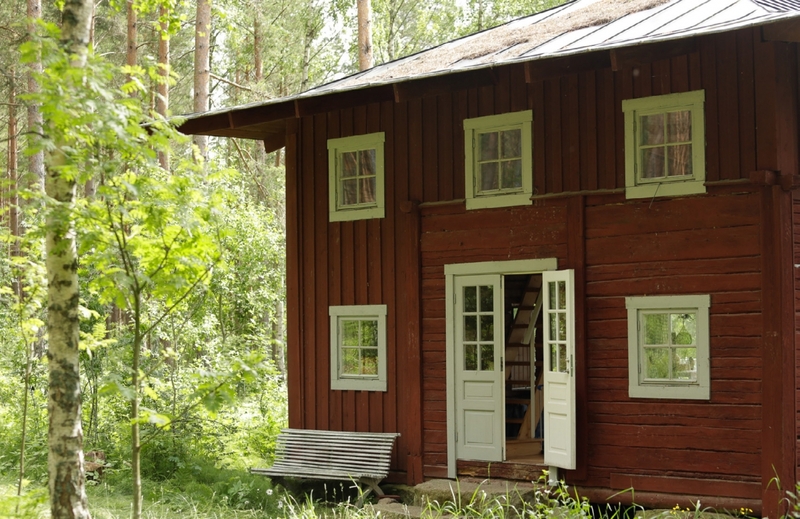 On the first floor there are two bedrooms with views over lake Sundsjön and the sunset. One of the bedrooms is built like a balcony facing the living room. There are 2+2 beds in the house. There is of course hot and cold water, television, stove, oven, refrigerator, freezer, dishwasher, coffee maker, toilet, bathtub, washing machine, outdoor furniture, barbecue and vacuum cleaner.